"I am delighted to announce Dr. Jean-Paul Boudreau as Mount Allison's next President and Vice-Chancellor," says Ron Outerbridge, chair of Mount Allison's Board of Regents and of the Presidential Search Committee. "Jean-Paul brings exceptionally strong academic and administrative experience to this role, proven skills in innovation through collaboration, and a commitment to experiential learning opportunities for students." 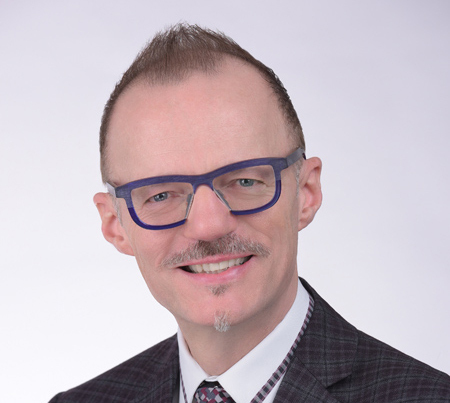 A proud Acadian who grew up in Moncton, Boudreau joins Mount Allison from Ryerson University in Toronto where he is a professor of psychology and serves as special advisor and executive lead, social innovation. Prior to this, he was Ryerson's dean of the Faculty of Arts and chair of the Department of Psychology. A developmental scientist, Boudreau holds a PhD in psychology from Tufts University in Boston and is a fellow with the Canadian Psychological Association. He has collaborated with researchers around the world and published extensively in international journals and scholarly books. Boudreau brings experience in establishing and building a comprehensive psychology department at Ryerson that offers BA, MA, and PhD programs. As dean, he worked to increase external research funding, helped grow enrolment at both the undergraduate and graduate levels, and launched the university's first social innovation incubator. Passionate about community engagement, Boudreau is also an award-winning teacher who has created unique experiential learning opportunities for students. "I am thrilled and deeply honoured to be named Mount Allison's 15th President and Vice- Chancellor," Boudreau says. "Mount Allison has earned a long-standing reputation as one of Canada's best undergraduate universities. I look forward to meeting with and listening to students, faculty, staff, alumni, donors, and members of the Sackville community, and working together, build upon the foundation of Mount Allison's liberal arts and sciences tradition." The Presidential Search Committee was comprised of student, faculty, staff, and alumni representatives. The year-long search process included community consultation, presentations, interviews, and numerous on-campus meetings with members of the University community.